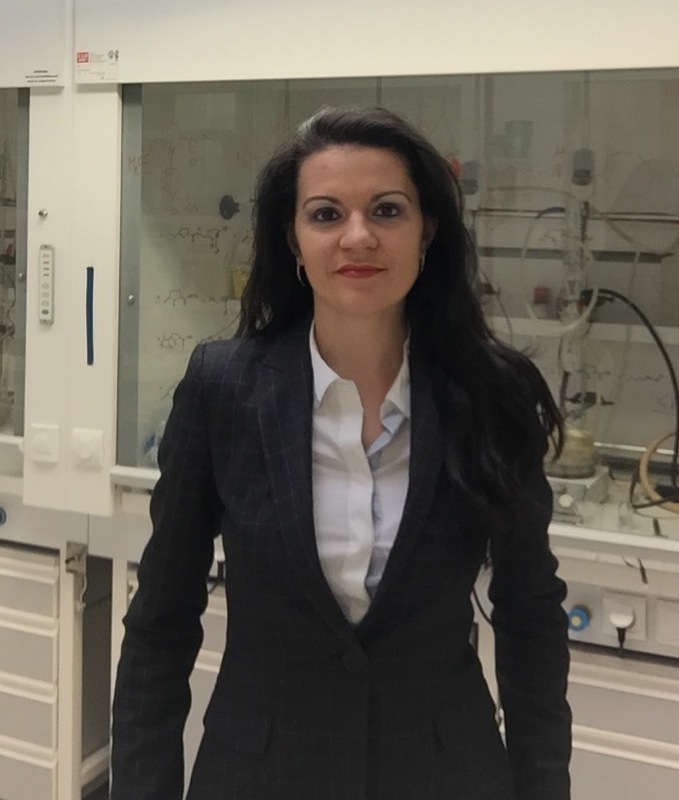 Dr Alina Ghinet heads-up the chemistry research department at the French School of High Studies in Engineering (HEI) in Lille, France. She is also the recipient of the 2009 L'Oréal-UNESCO Award for Women in Science and used her grant funding to set up the French-Romanian Colloquium on Medicinal Chemistry. My research is based on the design, synthesis and biological evaluation of new anti-cancer, anti-inflammatory and elicitor agents. In the anticancer field, my researchers are focused on inhibitors of tubulin polymerization and of human protein farnesyltransferase. In the inflammatory diseases field, I am interested in P2X7-purinergic receptor (P2X7R) ligands (agonists and antagonists) and polo-like kinase 1 inhibitors. Finally, I am interested in the synthesis of bio-sourced plant resistance inducers on wheat against Septoria tritici blotch and powdery mildew. Our research group has a chemical library of 2,700 molecules synthesized by our chemists. We have a recognized expertise in the chemistry of pyroglutamic acid, a renewable natural material from sugar beet. Consequently, the major part of our compounds screened for antimicrobial activity with CO-ADD are pyroglutamic derivatives. In terms of biological mode of action, we chose for bacterial and fungal screening molecules interacting with tubulin polymerization and anti-inflammatory agents interacting with the P2X7 receptor. Tubulin modulators are already known for their antibacterial potency. This will permit us to verify this biological property for our tubulin polymerization inhibitors and establish new structure-activity relationships in these families of compounds. On the other hand, my newest research theme concerns the Inflammatory Bowel Disease (IBD). The causes of IBD can be multiple and not elucidated to date. However, some resistant bacteria are reported as a cause of IBD. The intestinal flora is important but slightly known in the onset of inflammation. My research team has already identified potent anti-inflammatory agents targeting the P2X7 receptor. The bacterial and fungal screening of the newly synthesized compounds will permit us to explore for the first time the possibility for a new P2X7R ligand to target one of the causes of IBD. My final objective is to overcome the cause and the effect of IBD. Chemistry is extraordinary, with few limits. Identifying a hit among the tested compounds will permit a rational drug design in order to improve the biological potential. CO-ADD gives us an excellent opportunity to participate to the screening in order to discover new promising molecules as antibiotic candidates. Moreover, serendipity can sometimes reserve surprises. We will continue our organic synthesis research work and we hope to find promising molecules upon bacterial and fungal screening in order to develop new research themes and preserve the collaboration with CO-ADD.